Edited on : 12/04/2016 :: Shri News is Hindi language 24 hour satellite news and infotainment channel, now left DD Free Dish platform from today. RT Movies also added on DD Free Dish DTH Service. Shri News is hindi regional news channel added on DD Freedish on 16th Feb 2016, but now it has removed from DDFD platform. Now this channel showing TEST Channel 210, Here is frequencies of this channel. 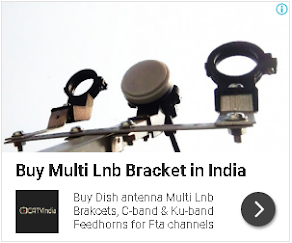 For more updates of DD Free Dish, keep visit us and give your feedback's via comment section.